At Reliance, we’ve created some pretty awesome bathrooms. 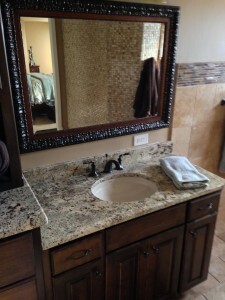 We’ve done so many bathroom remodels in our time, we have broken them down into three basic types. One of them is sure to fit your needs. 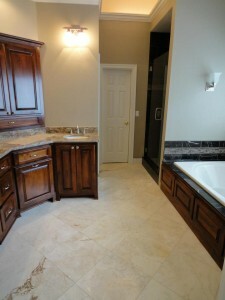 Ready to build a bathroom in a part of your home where one currently does not exist? Customize the size, style, layout and every detail. Choose this option to build a new structure matching your style. Creating new bathroom space, bathroom additions or a larger remodeling project, in some cases, may require moving closet walls, moving bedroom walls, and/or adding to a room. A full remodeling project could mean an addition of a steam shower, a walk in shower, or an adjustment for universal design. Adjustments could be due to the aging of a home or a new disability requiring adjustment to a doorway to increase its size, Reliance can help with any of this. Build-outs may require structural reports and more detailed drawings and usually require the contractor to have access into more than one level of the house. 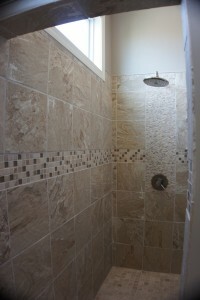 No matter what kind of bathroom remodel you need, Reliance can make it happen. Our process will keep things moving smoothly and our professionalism will keep you happy.